In the legal field, powers of attorney are used for various purposes. With a power of attorney, you name someone to act on your behalf in a legally binding manner. The anatomy of a power of attorney involves the grantor or principal, who is the person granting the power. 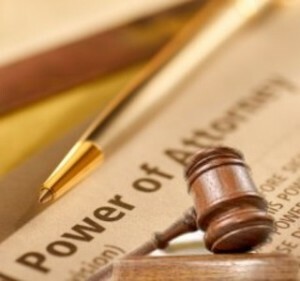 In the power of attorney the grantor names an agent or attorney-in-fact. This is the person who can act on behalf of the grantor. There are different types of powers of attorney. General powers of attorney are used to give the agent sweeping powers. In essence, under a general power of attorney, the agent can do anything that the grantor can do. In addition to general powers of attorney, there are also limited powers of attorney. The grantor could bestow power to the agent under limited circumstances. For example, broad powers could be granted for a limited period of time. An agent could alternately be empowered to conduct a single transaction, or certain types of transactions. Our firm practices estate planning and elder law. In the elder law field, durable powers of attorney are frequently utilized. A significant percentage of the senior population will become incapacitated at some point in time. People sometimes become unable to communicate due to medical conditions, and there are those who suffer from mental incapacitation. Alzheimer’s disease is a very big threat. Approximately four out of every 10 people who have reached the age of 85 are suffering from this disease. 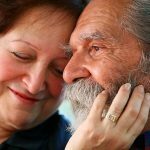 People who have contracted Alzheimer’s disease experience dementia. If you have dementia, you are probably not going to be able to handle all of your own affairs. If you do not prepare for possible incapacity in advance, interested parties could ask the state to appoint a guardian to handle your decision-making. You would have no control at that point. You can be proactive by creating durable powers of attorney. Durable powers of attorney are utilized because they do remain in effect even if the grantor of the device becomes incapacitated. People typically execute two different durable powers of attorney: one for financial decision-making, and one for health care decision-making. If you would like to name two different respective attorneys-in-fact, you could do so. 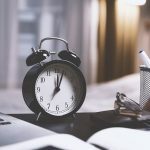 Since so many people become incapacitated late in their lives, incapacity planning is a must for all responsible adults. If you are ready to put an incapacity plan in place, our firm can help. We offer free consultations, and we would be glad to answer your questions and help you prepare for the eventualities of aging. 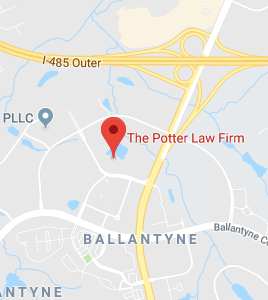 To set up an appointment, contact us through this link: Charlotte NC Incapacity Planning.